Amateur ramblings. Mon opinion n'engage que moi. Conductor: David Robert Coleman. Production: Krzysztof Warlikowski. Sets and costumes: Małgorzata Szczęśniak. Lighting: Felice Ross. Video: Denis Guéguin. Trulove: Jan Martiník. Anne: Adriana Kucerová. Tom Rakewell: Stephan Rügamer. Nick Shadow: Gidon Saks. Mother Goose: Birgit Remmert. Baba the Turk: Nicolas Ziélinski. Sellem: Erin Caves. Keeper of the madhouse: Gyula Orendt. Staatskapelle Berlin. Staatsopernchor. This production of The Rake’s Progress was covered so well and in such depth by Opera Cake in 2010 that it hardly seems necessary for me to add anything, other than that I had a partly different cast. It can't have been easy for Opera Cake: once again, Krzysztof Warlikowski's production was typically... What's the word? A web? A tapestry? Kaleidoscopic? Whatever the word is for involving a profusion of ideas and details, themes, images, symbols, actions, ambiguities, suggestions... Like other Warlikowski productions (or, for example, the Châtelet Paladins, similarly "busy") you'd need to see it more than once, and preferably also have a trace on video, fully (if ever) to grasp the whole. - Action in more than one place: the main narrative plus other things going on to the sides, at the back, upstairs (where the chorus occupy the balcony of a 60s cinema with loud wallpaper) and downstairs (where a series of mirrored doors open to reveal, e.g. the Truloves' kitchen under the scaffolding). - American icons: Warhol himself and his entourage, Mother Goose's balloon-filled aluminium Airstream caravan, cowboys and their hats, burgers, Heinz 57 varieties... but also, in the magnificent auction scene, Darth Vader, an astronaut, pin-up diner waitresses, Minnie Mouse, Bugs Bunny/the Duracell rabbit, or at any rate a muscular young man in trunks and army boots with a giant bunny’s head, armed with a rifle... all paraded out on the sides of the orchestra pit while the dreadlocked Sellem directed affairs and tangled with Baba between the pit and the front-row patrons. This was really exciting, as things rarely are in the opera house. It was followed by a masterly graveyard scene that was really creepy (Nick), really moving (Tom), and once really dramatic (Tom shooting Nick – several times). - Gender and sexual ambiguity: it wasn't always clear who was what among the mini-dressed young athletes in jewels and extravagantly coiffed and made-up young women; Tom was drugged and dragged off for a night among the balloons with both Mother Goose and Nick and eventually, after a fair amount of kissing and fondling from the latter, married to Baba the Turk, a bearded countertenor in a black lace body stocking, patent high heels and a Venetian blond wig. On Thursday night I had an excellent cast, dominated, as Opera Cake pointed out two years ago, by the amazingly charismatic Gidon Saks, whose apotheosis as a wonderfully sardonic and, as I said, creepy Nick came in that graveyard scene: strutting around, showering the stage with playing cards and generally chewing up the scenery, as they say, in a black sequinned suit, black satin corset and patent boots. His voice was powerful and his diction was perfect: I understood every word. Diction sadly wasn't the strong point of the rest of the singers, apart from the excellent Erin Caves as Sellem, but they were perfect in every other way. Stephan Rügamer, to put it briefly, sounded like a new Robert Tear: a highly nuanced, "British tenor" sound but with unusual punch and rondeur. The same could be said of Adriana Kucerová - not that she might be a new Robert Tear, but that her voice was rounder and stronger than we typically hear in this part. I'd have been happy if Nicolas Ziélinski's voice had also been a little rounder - it was strong enough. But he certainly played the petulant queen well; from a counter-tenor, why doesn't that surprise me? The chorus was fine enough when we could hear them properly - having them high up at the back meant that was seldom. The orchestra, to me, could have been a bit more razor sharp, as would befit a Prussian band; but no complaining. With such a strong cast in such a classic Warlikowski show (and in the comfort and good acoustics of the Schiller Theater, at bargain prices), how come there were so few people in the house? I've never before seen such a sparsely-attended performance. A shame. I loved it. La Monnaie, Brussels, Sunday April 29 2018. Conductor: Alain Altinoglu. Production: Olivier Py. Sets and costumes: Pierre-André Weitz. Lighting: Bertrand Killy. Heinrich der Vogler: Gabor Bretz. Lohengrin: Eric Cutler. Elsa von Brabant: Ingela Brimberg. Friedrich von Telramund: Andrew Foster-Williams. Ortrud: Elena Pankratova. Heerrufer: Werner Van Mechelen. Vier Brabantische Edle: Zeno Popescu, Willem Van Der Heyden, Kurt Gysen, Bertrand Duby. Edelknaben: Raphaële Green, Isabelle Jacques, Virginie Léonard, Lisa Willems. La Monnaie Orchestra and Chorus. Conductor: Philippe Jordan. Production: Terry Gilliam with Leah Hausman. Choreography: Leah Hausman. Sets: Terry Gilliam, Aaron Marsden. Costumes: Katrina Lindsay. Lighting: Paule Constable. Video: Finn Ross. 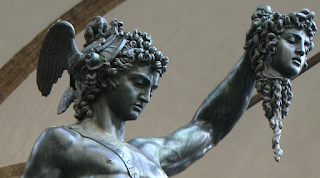 Benvenuto Cellini: John Osborn. Giacomo Balducci: Maurizio Muraro. Fieramosca: Audun Iversen. Le Pape Clément VII: Marco Spotti. Francesco: Vincent Delhoume. Bernardino: Luc Bertin-Hugault. Pompeo: Rodolphe Briand. Cabaretier: Se-Jin Hwang. Teresa: Pretty Yende. Ascanio: Michèle Losier. Orchestra and Chorus of the Opéra National de Paris. Conductor: Vladimir Jurowski. Production: Ivo van Hove. 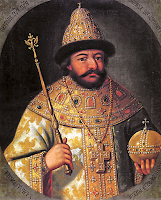 Boris Godunov: Ildar Abdrazakov. Fyodor: Evdokia Malevskaya. Xenia: Ruzan Mantashyan. Nurse: Alexandra Durseneva. Prince Shuysky: Maxim Paster. Andrey Shchelkalov, Clerk of the Duma: Boris Pinkhasovich. Pimen: Ain Anger. Grigoryi Otrepiev: Dmitry Golovnin. Varlaam: Evgeny Nikitin. Missail: Peter Bronder. Innkeeper: Elena Manistina. The Yuródivïy (Innocent): Vasily Efimov. Mityukha: Mikhail Timoshenko. Police Officer: Maxim Mikhailov. A boyar, voice in the crowd: Luca Sannai. Sets and lighting: Jan Versweyveld. Costumes: An D’Huys. Video: Tal Yarden. Orchestra and Chorus of the Opéra National de Paris. Maîtrise des Hauts-de-Seine / Paris Opera Children’s Choir. Heather Harper 1930-2019 - The distinguished British soprano died today. She was 88.